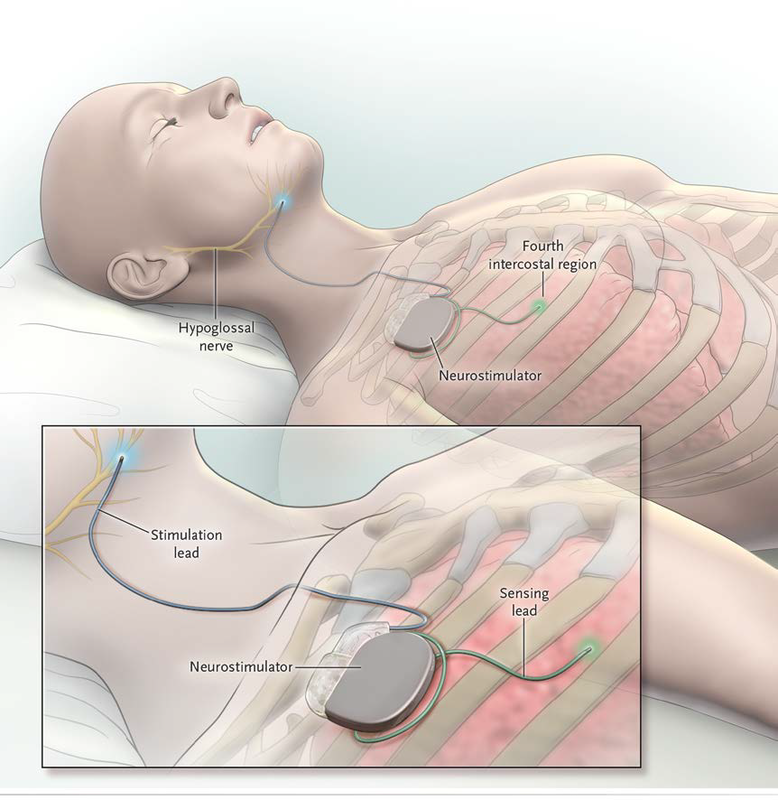 The STAR Clinical Trial, involving 126 Obstructive Sleep Apnea (OSA) patients across the United States and Europe, began in 2010 to evaluate the safety and efficacy of Inspire therapy. One-year STAR Trial results were published in The New England Journal of Medicine, in January 2014, and Inspire therapy received approval by the United States Food and Drug Administration (FDA) in April of that year. One-year STAR Trial outcomes showed that sleep apnea patients receiving Inspire therapy experienced significant reductions in sleep apnea events and significant improvements in both quality of life and daytime functioning as measured by various questionnaires. There also was a high safety profile, with an overall rate of serious adverse events of <2%. 79% reduction on sleep apnea events. Significant improvements in quality of life and daytime functioning. 90% of bed partners reported soft or no snoring. You have moderate to severe obstructive sleep apnea( AHI 15-65). You are not able to get use or get consistent benefit from CPAP. You are not significantly overweight( BMW less 32). Inspire therapy is FDA approved and proven to be an effective sleep apnea treatment. Currently, the therapy is being reviewed and approved by insurance companies on a patient-by-patient basis. Dr. Egan’s office will work on your behalf to gain payment approval. This approach has been successful in helping patients gain insurance approval. Will Inspire therapy help with snoring? Yes, data from the Inspire clinical trial showed that 90% of bed partners reported either no snoring or soft snoring by their partners using Inspire therapy. Typically, patients feel a tingling sensation or mild contraction in their tongue muscles. When the device is turned on at night there is a programmable delay that allows you to fall asleep before stimulation begins. The stimulation should not be painful or uncomfortable and the level is adjustable. Dr. Egan will make any adjustments as needed. Most batteries last for 8 to 11 years. When the batteries run out the generator portion of the device is replaced during a brief procedure. Within a few days following the procedure, you should be able to return to normal non-strenuous activities. Dr. Egan recommends that you avoid strenuous activities for two weeks after surgery.